In the summer each of us wants to find more time for rest, solar bathtubs and the family, but not a garden and a kitchen garden. But without beautiful flowers on the seasonal dacha it is absolutely sad and empty, and rest becomes not such bright as it would be desirable. How to make so that charming inflorescences throughout all summer were pleasing to the eye, and work on care of plants didn't distract from pleasure life? The exit is! 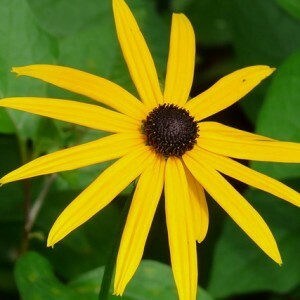 It is necessary to put the Coneflower. This plant not only doesn't demand laborious personal care, but also maintains frosts to –15 °C.